Gautama Buddha is a great legacy in India and inspires people from across the world. 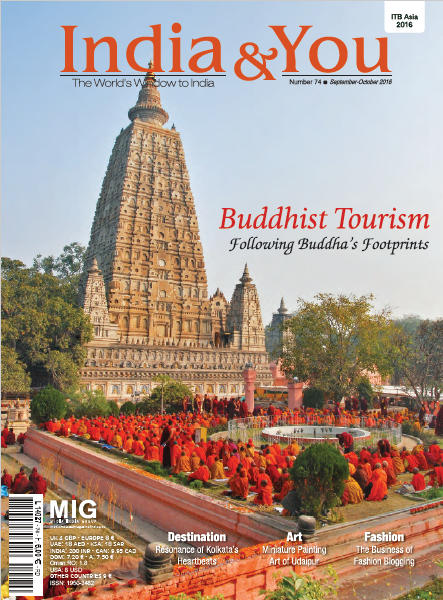 Being home to some of the major pilgrimage sites for those on the Buddhist trail, India offers a deep spiritual, cultural and historical insight into the life, works and philosophy that the Buddha is said to have lived and left behind. In the melting pot of religions that India has been, Buddhism has played an important part. We take you across the destinations that He explored as His life progressed, from Bodh Gaya where He is said to have attained enlightenment to Sarnath where He delivered his first sermon. In this journey we also stop to look at the art and architecture that has been left behind, as in Sanchi in Madhya Pradesh. We explore the Tibetan Buddhist culture through destinations such as Dharamsala in Himachal Pradesh and West Bengal and also move towards the northern part of the country, to Ladakh, to soak in the beauty of the landscape and rich culture of monasteries. Beyond our focus on the Buddha, we share some information about delicious local drinks available in India, images of the royal miniature paintings from Udaipur in Rajasthan along with the medicinal qualities of Henna and an understanding on how Satyajit Ray remains very relevant today. While the world transpires to comprehend the power of mind, preached solemnly by Buddha, perhaps the quest to realise Buddhism culminates here under the Mahabodhi Tree in Bodh Gaya. As Uttar Pradesh witnesses a tourist influx, mainly for its religious sites, the tourism department is leaving no stone unturned in earning the kudos of national as well as international tourists. Long before liquors around the world were commercialized, traditional hard drinks were the norm. Prohibited or not, some of them still remain popular across India. Henna, a natural and organic product, is quintessentially used in India, mainly for skin and hair. It also adds a cultural and medicinal value to the country that has been using it for centuries now.